I suspect that many more of us, today, travel to distant lands, more frequently, than ever before. So where do we go? 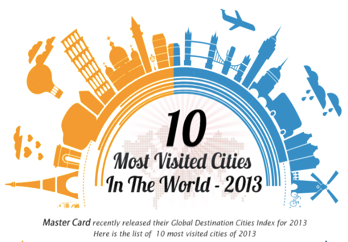 MasterCard has just released its Top 20 Global Destination Cities for 2013. Many will not surprise you, but some, perhaps, may. Here is an infographic that shows the top ten. It might be useful to ask students to research one of the top cities, and/or the tourist attractions that draw people. Why do we go there? What interests us about them? Is it leisure, interest, adventure, or something else? An interesting research and report project with practical value, producing infographics to convince community members to visit their destination of choice. There are lots of great infographics and visualizations that help to compare all manner of vastness, and here’s one. We know why we became teachers. If it wasn’t the reason, then it’s why we remained teachers. It’s..
That’s how Haley Brown describes it. She’s a seven-year elementary school teacher in Raleigh, who has just accepted an administrative position – with a homebuilder. According to the October 24 Raleigh News & Observer article, Haley says that testing has not only robbed her of her emotional and professional energy, but also robbed her students of meaningful learning. Teacher assistants have been laid-off (state legislation), the workload keeps growing, and she has received only one raise and a 1% cost of living increase in her seven years. It’s not an uncommon story, but one that has gained traction because of the note her husband, Matt, handed her, when she’d made her decision. Haley was so thankful for her husband’s support that she posted the note on her blog, earning 1,200 likes on Facebook. As the letter continued to resonate with some many people, Matt sent it to the N&O, and they published it as an opinion piece. 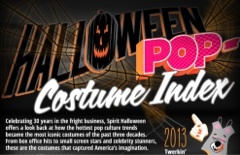 As of this week, it is the most popular story page on the paper’s web site for 2013. It’s been read more than a half million times. Does this really matter. Is anyone noticing? North Carolina is a right-to-work state, so there’s no teachers union and teachers don’t strike. They just slip away. Who cares? There is a new story out there. It’s made up of lots of characters, plots and sub-plots, but it’s not been assembled yet. This weekend, I’ll be attending the ReinventEd Unconference at Black Mountain SOLE, in Black Mountain, North Carolina. It’s going to be one of those learning events that’s driven by questions, not authorities, and no small part of its appeal comes from the fact that its organizer is Steve Hargadon. 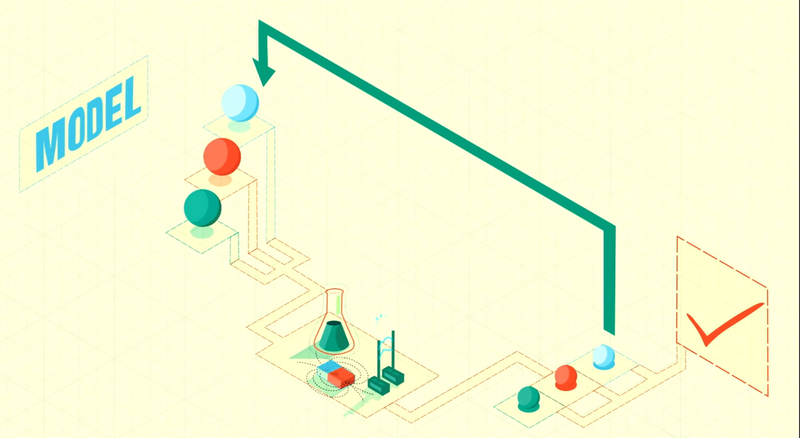 Here’s a nice little video that gives us a peek in to the world of electrons. I was surprised to find out how much mystery there is behind such a basic element of chemistry. The video also manages to paint an almost flirtatious relationship between electrons and scientists which I found pretty funny. 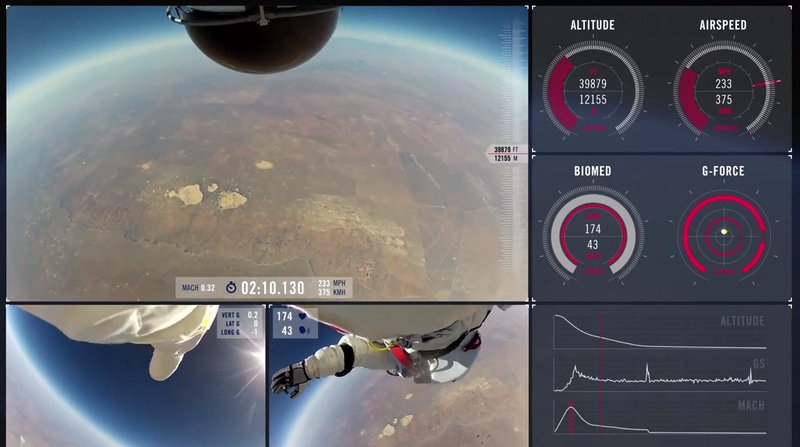 Felix Baumgartner from all angles. Red Bull released this video earlier this week. What you’re seeing is the famous record-breaking jump a year ago from all captured angles along with some real time data. This was just a mind-blowing event and I think this video captures the whole thing pretty perfectly. What an amazing record of human history. If I could get my hands on one of these I’m sure I could play with it for hours. 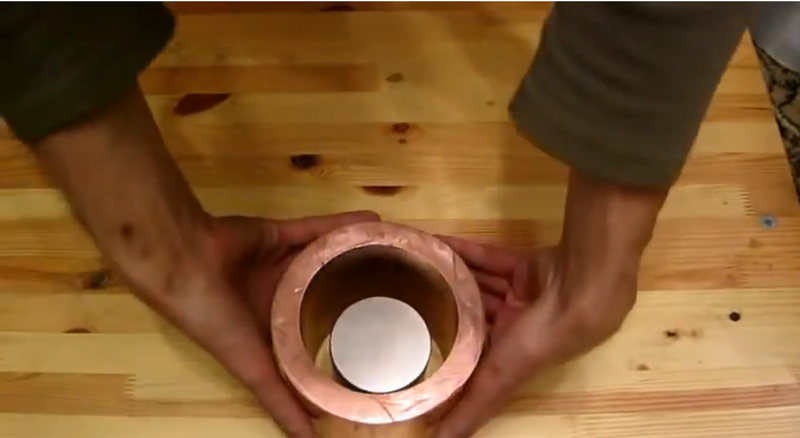 Apparently these are Neodymium magnets passing through thick copper tubes. What happens is a pretty astounding lowered gravity effect. I had the honor of being part of one of Connected Educators Month‘s kickoff panels last week, one called “Personalized Learning Kickoff.” I strike through the ized part of the title, because parts of our conversation suggested a difference between personal learning and personalized learn. I went into a deeper discussion of this distinction in “Individualized Instruction Vs. Personal Learning”. The panel, which was hosted by Darren Cambridge and led by Will Richardson was one of the kickoff events for Connected Educators Month. You can find archives of all of these panels here. I don’t particularly look forward to these things because my hearing is so poor. It takes me a majority of brain’s computing cycles to translate the mess that I hear and the tiny facial and body cues from Collaborate’s video screen into a semblance of what the speaker actually said. Because this leaves me less than confident, I try to have lots of notes that I can readily call on without too much difficulty. ..and since I put so much time and thought into notes, I thought I’d post it all here. Potential questions are bold and my ideas are red. What is the difference between personal and personalized learning? The problem with professional idioms is that the phrase becomes an entity until itself. People can hang on them what ever notions they have of its meaning.
? because the phrase has come to mean more than the words that make it. “Personalized” describes to me something that is done to, designed or produced for, or imposed on the student. Individualized instruction? Differentiated Instruction? Passion-based? Individualized and differentiated instruction are a personalization of instruction by the teacher. Its targets are external standards that often mean little to learners. Not to say that instruction doesn’t not have its place. A good lecture, educational game or even drill and practice activity are wonderful things, when appropriate – when needed! Personal, passion-based learning starts with the learner, not a set of external standards. It comes from the learner’s frame of reference, personal goals and passions; and it is future-oriented. Too many “standards” are past-oriented. However, we, educators, need to learn to inspire learner passions that are relevant to-, or create a healthy context for- our children’s culture, environment and their time. How can we create the conditions for personal learning to flourish in classrooms and schools? It’s mostly a shift in the prevailing conversation from teaching & instruction to curiosity & learning. What roles do networks play in personal learning? Personal learning is not new. It comes from observing, thinking and playing – with intent. Networks have expanded what we can observe, changed our point of view, and created an astoundingly more interactive board on which to play. Some books, Life magazine and Boys Life magazine. Limited TV & Radio programming. ..and it’s in my pocket! The work is finding the answers that work! How can we help teachers and students move from just being connected to experiencing meaningful and productive connections? We cut-off the paper and ask teachers to produce more and more of their own digital teaching materials, and we facilitate sharing. We provide real audiences for our children’s learning. What they are learning to do with they’re learning. We ask children (and teachers) to surprise us, to show us something we’ve never seen before. What are appropriate roles for social media? We start off by saying that there should not be a list of appropriate uses for social media. ..to answer a question, solve a problem or accomplish a goal. If it leads to success, then it’s appropriate. You help them to understand that learning is empowering. This is partly a result of passion-building. To interview the children of recent history (The Great Depression, WWII, the race to the moon, a world without Nintendo) and teach (enlighten) the rest of the class. To create playlists of students compositions, slideshows of their art work, and ask them to talk about the science, mathematics, social studies and healthful living involved in them. You dare them to surprise us. How important is it to have educators and leaders modeling personal learning? It’s not a learning culture, unless everyone’s learning. We speak of education in the language of individual learning and personal growth, but schooling as it is largely practiced is about conformity and external assessment. Are there larger pedagogical shifts that ultimately will need to precede true personalized learning? End this obsession with measuring learning and comparing schools. It will lead to the death of public education. It isn’t what we know that’s the same as everyone else that brings value to the endeavor. Innovative accomplishment comes from what we know and can do that’s different. We, as educators, need to think about the learning that we do and have done since we stopped being students. How have we learned it? and invent ways to make classroom learning mirror real-world learning. It takes skills that all our children will need. In a time of rapid change, being a learner has become more important than being leaned! 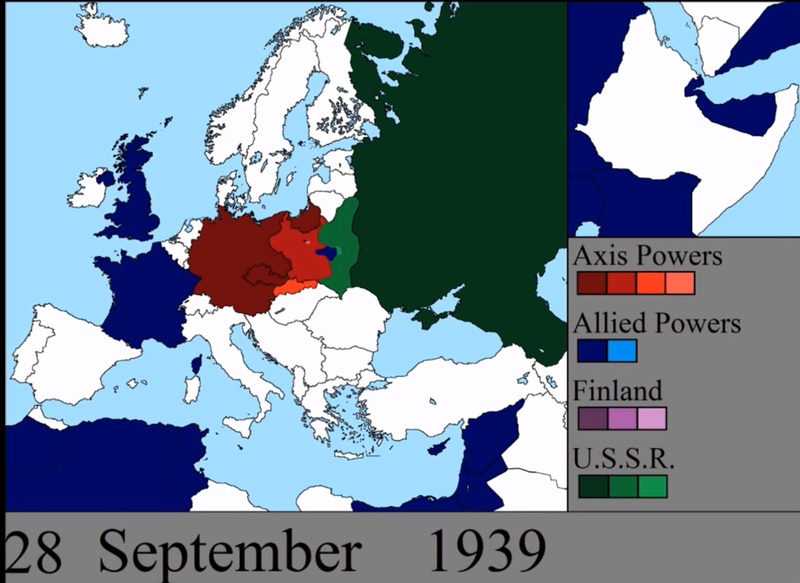 Here’s a video that shows a good representation of how different lands changed hands during World War II. Even if you don’t get the whole story it’s interesting to get a broad view of how things played out throughout Europe. Roald Dahl had quite an imagination. Reading through this list of books that Dahl wrote, it would be interesting to see what was going through his brain. What this infographic also shares is the inspiration behind his book, Charlie and the Chocolate Factory, and some facts related to his book, James and the Giant Peach. Choose a book that you are reading, or a favorite of a student, and try to find out the inspiration for the book. Is it based on an event, something that happened in to the author, or something they wish would happen? Using math and science, try to discover something factual about a book. How far do they travel in the Lord of the Rings? 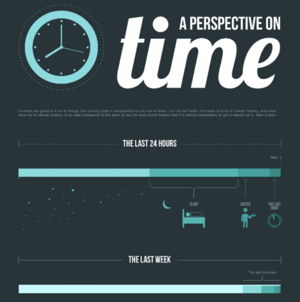 Create an infographic based on this data, especially information discovered by science and math. This infographic shows the heigh of Roald Dahl next to his giant peach.